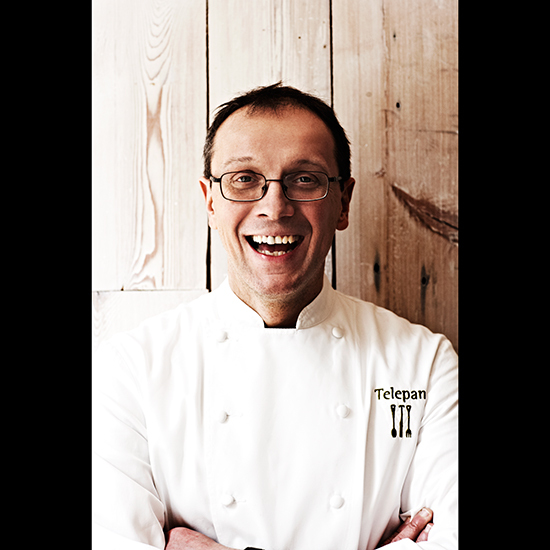 When he opened his new restaurant Telepan Local in New York's Tribeca, Wellness in the Schools champion and locavore chef Bill Telepan brought a secret ingredient. In this series, photographer Melanie Dunea of My Last Supper takes a peek into the minds of working chefs and gets them to reveal their most prized possessions. When he opened his new restaurant Telepan Local in New York's Tribeca, Wellness in the Schools champion and locavore chef Bill Telepan brought a secret ingredient: 18-year-old sourdough starter. Click through the slideshow to learn more about its history and find out how to use starter, below. 1. Bread. If you think about ways people used to live, they had to make bread this way. You couldn’t run to the store or buy packaged yeast or Wonder Bread. If you wanted bread, you had to have a starter and you needed all these ingredients. I felt I needed to do that. It makes the process and the bread more precious. 2. Pizza. It’s important to note that as the pizza dough sits in the refrigerator it develops more flavor. When you have yeast you make the pizza dough and it’s ready in about three hours. With starter you need a minimum of 24 hours in a bowl covered with plastic in the refrigerator. It’s worth the wait. 3. Onion rings. A little sourdough starter, flour and seltzer water will get you the onion rings of my youth!